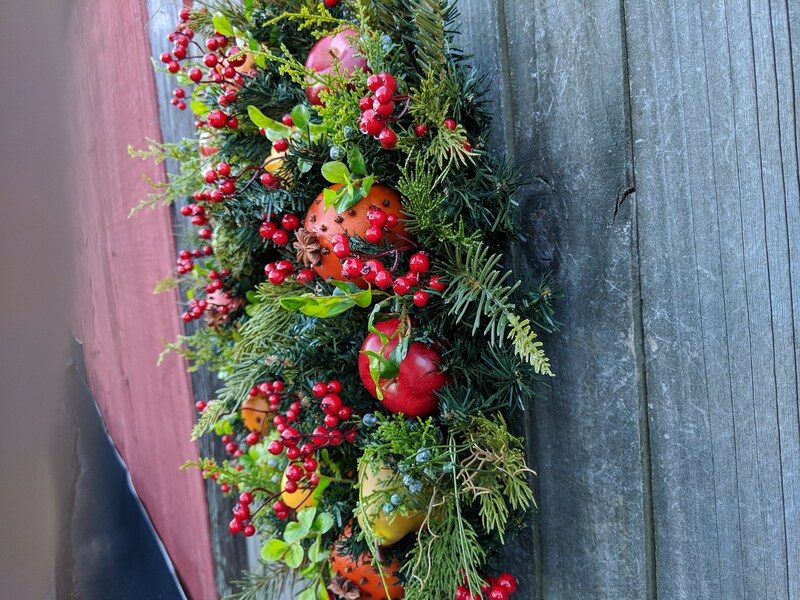 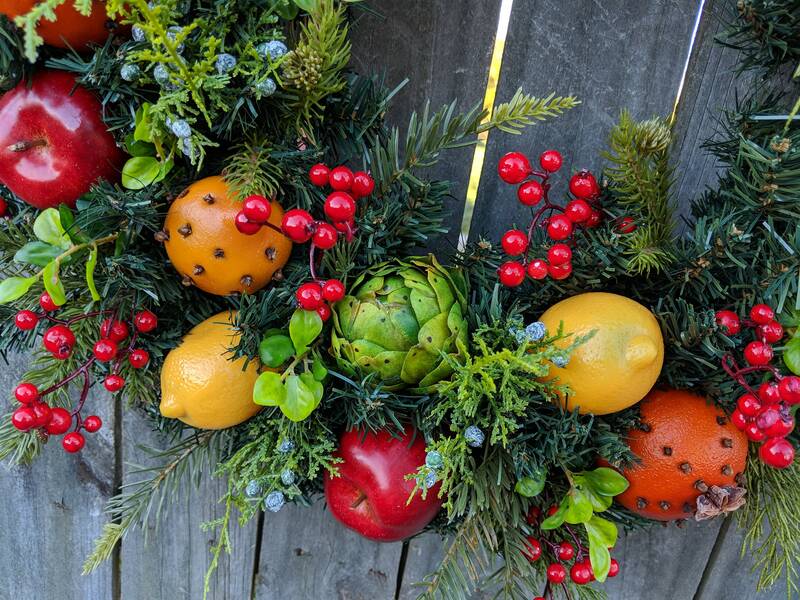 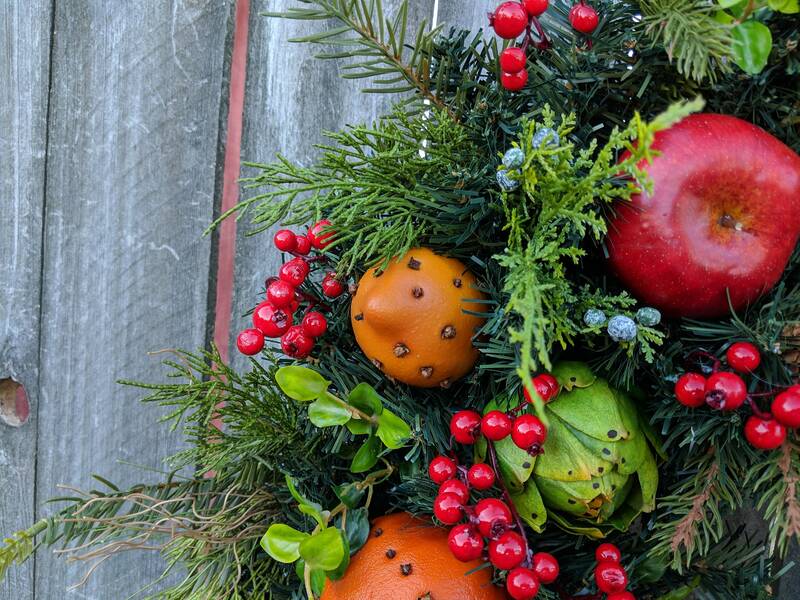 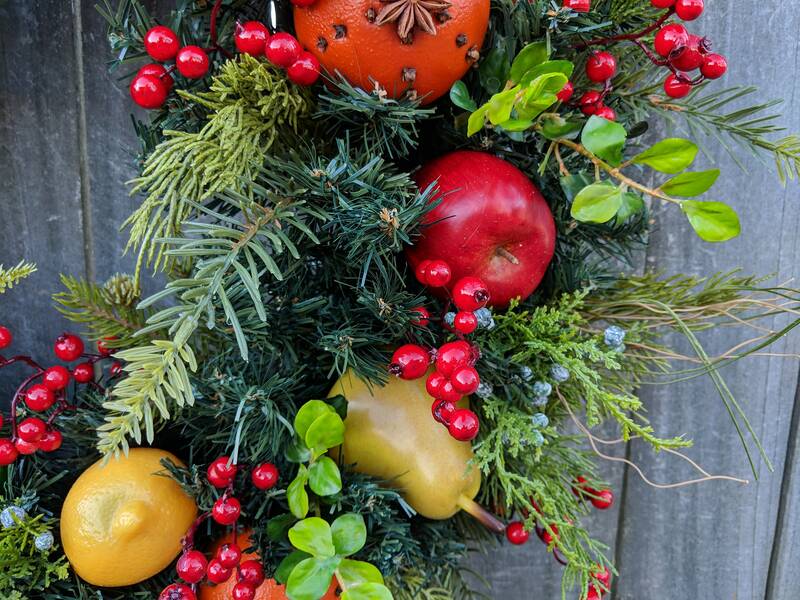 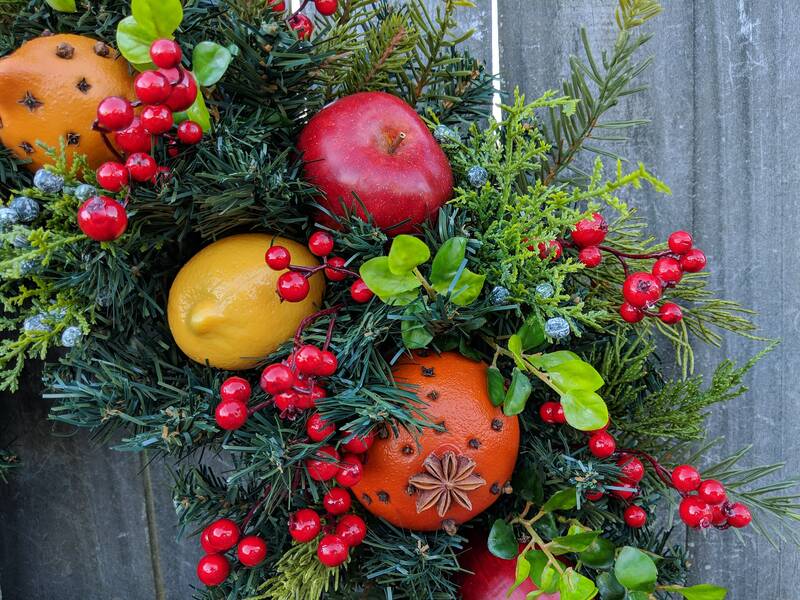 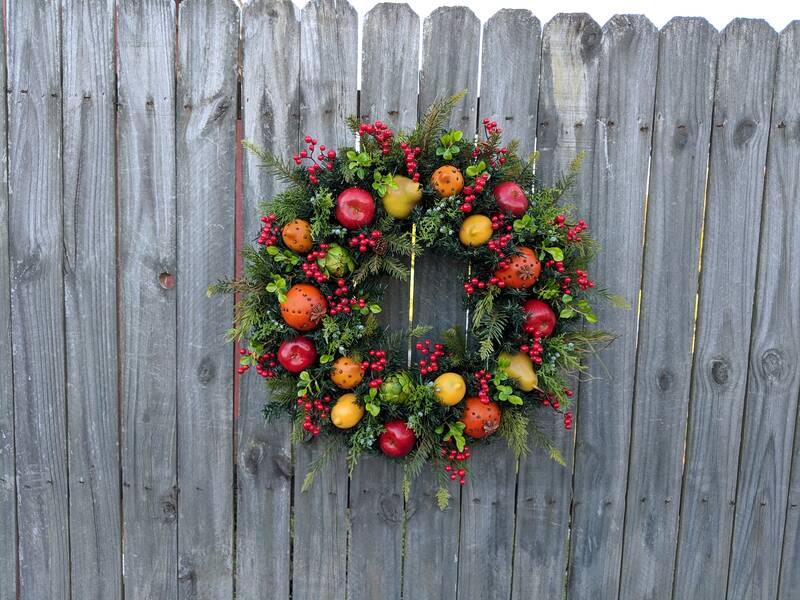 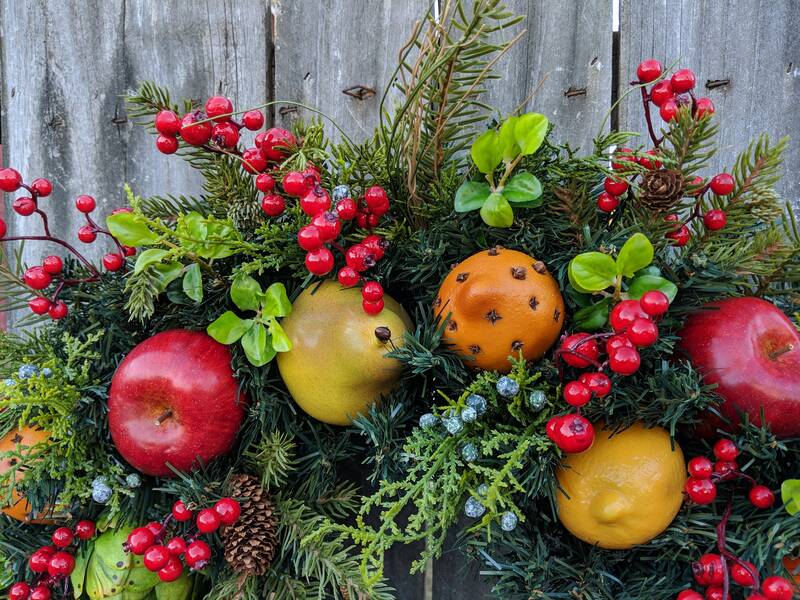 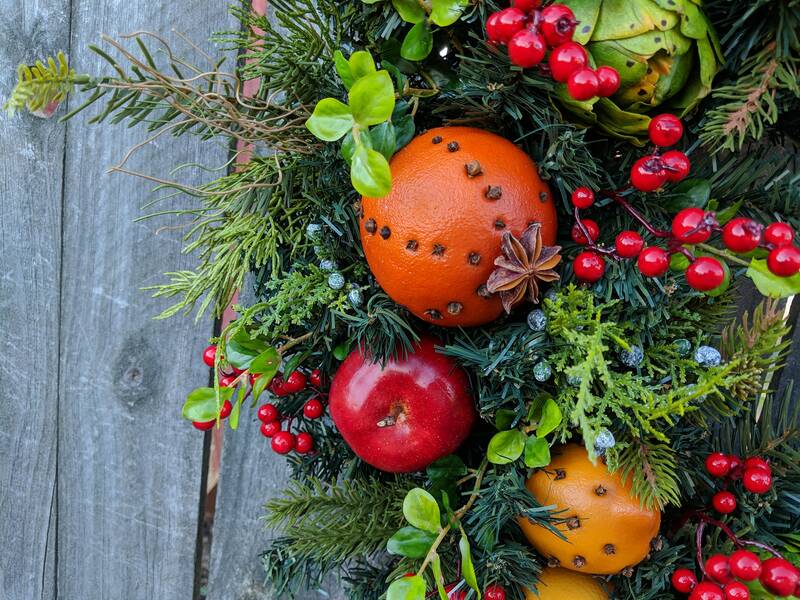 In this beautiful Christmas wreath, realistic fruit with cloves, pine and berries create a beautiful, classic look. 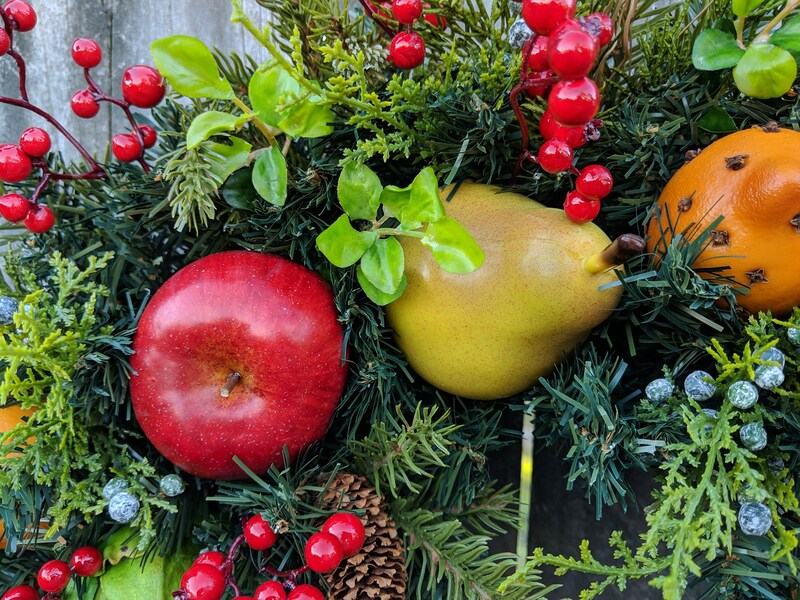 People will be constantly touching this wreath wondering if the fruit is real! 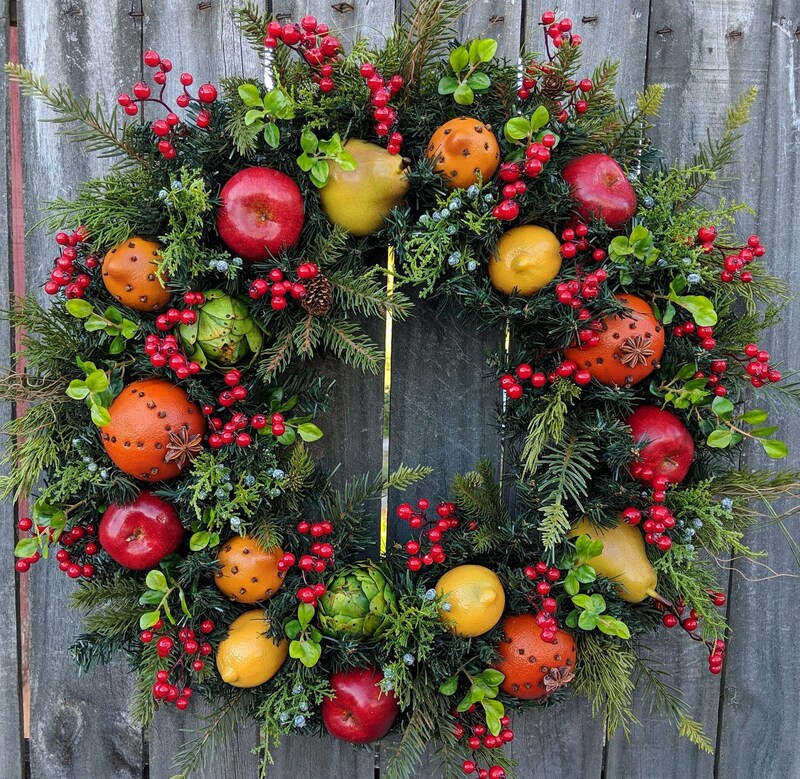 Please note that this wreath is made to order; therefore, there may be slight variations between the photo and the wreath you receive.